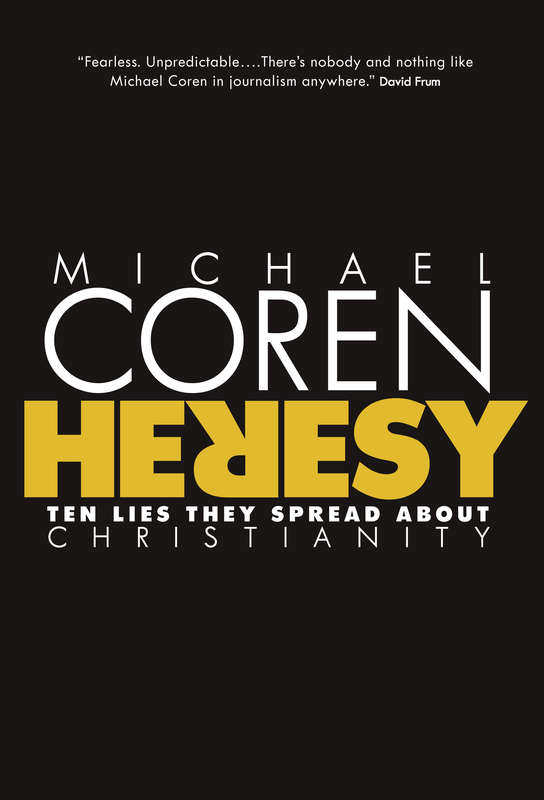 “Heresy” seems to deal with many issues that attack Christians today and cut them down. These are reasons that the world persecutes Christians. Each chapter deals with a false assumption about Christianity and then tears that assumption apart. Coren begins with a fascinating introductory chapter which gives numerous examples of persecution of Christians and mistreatment in comparison to those of other religions. After the meaty introduction, you wonder why Christians are so terribly singled out. And it leads right into the first chapter. Then he starts on the nine myths or heresies about Christians that are meant to be the most outlandish or shocking and therefore get the most attention. For example: Hitler was a Christian or the DaVinci Code controversy. For most chapters he briefly describes the accusation (heresy) against Christians and then gives example after example after example that disprove it. Some of the chapters are almost biographical. For example, he answers the accusation against Christians being stupid by giving short bios of seven brilliant British Christian authors. He has a similar tactic for most chapters. This book is valuable as a resource if I ever need to deal with that particular issue. But at times I had the feeling that the author simply was cutting and pasting from his extensive research in order to fill the chapter with enough material to support his point. Granted, there were some very powerful insights, but for most of the book, Coren goes overboard with too many examples that are commonly known. Where is the unique insight that this book can contribute to these issues that hasn’t already been said?